Maybe not all of us enjoy running. Or jogging. Or even moving. But maybe ‘fun fitness time’ doesn’t just have to be an oxymoron. Neither does it have to be a myth. Here are 7 alternative places/ funky workout gyms which may come in handy when you need to actualise the fitness resolution that’s nagging at the back of your mind. Time to unleash your secret inner fitspo! Barre classes are dance-inspired fitness classes. More specifically, barre incorporates ballet-like moves, and was first developed by German-born injured ballerina “Lotte” Berk in order to combine training with rehabilitation. Barre fitness classes work in some elements of Pilates, and trains core stability. Also, it purportedly chisels muscles and lengthens via small, incremental movement training. The best part? You don’t need a background in dance. Not a problem even if you have two left feet! 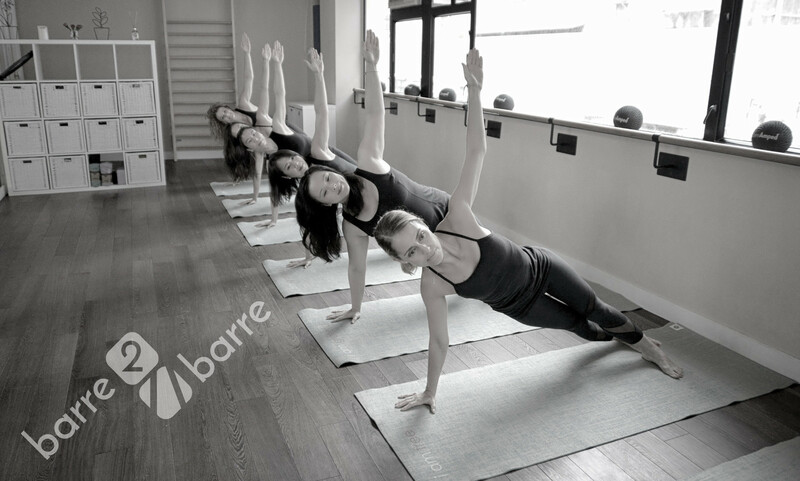 Barre 2 Barre Singapore offers a variety of classes, from barre wellness retreats to daily group classes. Private instruction is available too. First-timers can buy a 10 Day Unlimited Pass for $125 (limited to 2 classes a day). Barre 2 Barre, 42 Hongkong Street, Singapore 059681. WeBarre Singapore offers a unique WeBarre HIIT bootcamp as well as well as other signature classes! It has four studios in Singapore, namely at Tanjong Pagar, Telok Ayer, Clarke Quay and Dhoby Ghaut. More details on its website. While people often raise eyebrows at Pole Dancing, we often forget it is a sport in its own right which requires a great amount of flexibility, strength, balance and coordination. Spinning and controlling the body around the pole takes and builds more muscle strength than you may think. Also, pole dancing helps to strengthen back muscles and tones the body, especially the arms, shoulders and abs. We have good news for the guys too! Though still a female-dominated sport for now, Pole Dancing is not exclusively for the ladies. PoleLAB Singapore‘s classes combine selected gym equipment with Pole Dancing so you’re sure to sweat it out. 31 Kreta Ayer Rd, Singapore 088998. The Brass Barre offers classes for multiple skill levels from Beginners to Highly Advanced dancers. First-timers who sign-up for a beginner level course get a 2nd course free. More information can be found on their website. 222 Queen Street, #02-01, 188550. Hammocks suspended from the ceiling. A workout that defies gravity. An effective abs workout. Aerial yoga puts a twist on traditional yoga, and includes a hammock suspended from the ceiling. It’s also a combination of Pilates and dance. It’s a perfect balance between any acrobatic dreams you may have and having quality fitness time. Upside Motion offers Pilates, Barre, Aerial and Yoga, conveniently located in 3 locations at City Hall, Orchard and Shenton. Bookings can be done online and also, through their app, and they offer various class passes, including a flexible 30-day pass across three studios. You can find out more about them here. Aerial Fitness Studio offers aerial yoga classes, as well as others like aerial silks, lyra, static, trapeze, yoga, stretch, inversions, dance and fitness. Pricing varies across classes. CT HUB 2 #01-42, 114 Lavender Street, 338729. This one’s not for the faint-hearted. Expect high intensity workout routines that last for 45 minutes at each go. F45 training is a combination of elements of High Intensity Interval Training (HIIT), Circuit training and Functional training, and workout sequences change daily so there is never a dull day. F45’s database of 3,000 different exercises means that you’re constantly challenged, and ensures you burn off that sugary doughnut you had for tea! Find the nearest F45 training studio to you here. Also, first-timers can purchase a 14-day intro pass that grants unlimited access for 2 weeks, going at a rate of $29. Nope, it definitely doesn’t mean wrapping yourself up in a yoga mat and rolling anywhere! Rather, it’s 45 minutes of jam-packed activity, riding on an indoor bike in an immersive music environment as you sweat it out. Led by an instructor, you get to work out with your friends to the beats and rhythms of music at the same time on curated playlists. Ground Zero Singapore has RIDE, a 45 minute high energy set that focuses on cardio, as well as RUMBLE, which focuses more on fundamental training like stance and works weights and gym equipment into its routine. There is a 7-day Unlimited trial for first timers that can be purchased on their website. Ground Zero also offers boxing classes. Level 3, 38 Carpenter Street, Singapore 059917. Anthem Singapore promises an enjoyable fitness time with its high intensity, low impact and yet total body workout. First timers can opt for a 2 week Unlimited Trial which allows one to try as many classes within that 14 day span. 17 Phillip Street, #04-00, Grand Building, Singapore 048695. Erm…who said trampolines were only for children? The adults get all the fun in this one! This workout incorporates the use of mini trampolines as well as resistance bands, weights and strength training for a full body workout. Bbounce Studio Singapore offers hybrid rebounding, functional circuit and interval training fitness classes. Bbounce studio also holds bootcamps that work a different muscle group each day. The studio also offers BB Circuit 360 which are high intensity functional training classes. 1 class that is valid for two weeks starts at $35. The 1-Month Unlimited Access pass starts from $299. More details can be found on their website. The Centrepoint 176 Orchard Road, Singapore 238843. This combat sport doesn’t need much further explanation and may look easy on TV, but it actually requires a great deal of technical knowledge, endurance and power. It’s also a great way to release stress and clear your head, all while getting in shape. Boxing also helps improve hand-eye coordination and you’re bound to gain total body strength, considering how it involves intense punching, kicking and jumping. Also, who said it was just for the guys? Ladies are welcome to join as well. Box Office has trials for first-timers (1 for 1) where 2 classes are valid for 30 days, available for purchase on their website at $38. Other trials and series are available as well. Evolve MMA equips its students with the proper boxing fundamentals in its Level 1 class, and provides a safe environment for learning where you can pick up the basics. They offer a 30 minute Complimentary Introductory Class for all ages, genders and skill levels. You can find out more here. VANDA prides itself as a smart gym, and offers fitness classes that are a combination of Boxing, Muay Thai and general training. Free trials are available for booking on their website. Banner images are taken from Box Office, Ground Zero and Barre 2 Barre.